Whelped 2-20-18. Four girls & four boys. Chow time! 4-10-18. 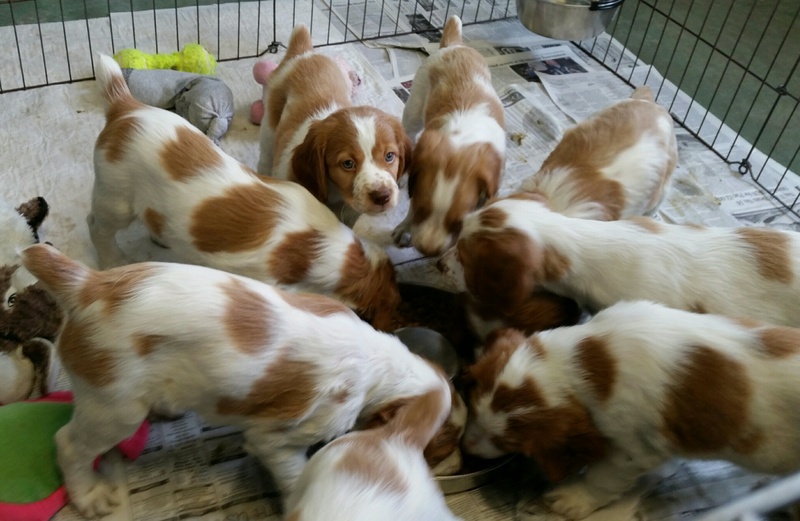 All tails are up and wagging! Saco, 4-10-18. Big feet = big boy! Chinook wagging her tail and playing 3-27-18. -Dec. 2017: Dancer shipped to Chief. Breeding occurred Dec. 19-23rd. Dancer shipped home Dec. 31st. -January 2018: Ultrasound indicated multiple pups. -Feb. 2018: Ultrasound on 2-19-18 showed all was well. -Feb. 20: Eight pups born (whelped) from midnight to 4:30 am. All went well. As with her first litter, Dancer is an excellent mother. -Feb. 21: Tails and dew claws removed. -Photos and weights taken Tue. 2-27-18. See the photos at the links to the left. The pups are growing well. 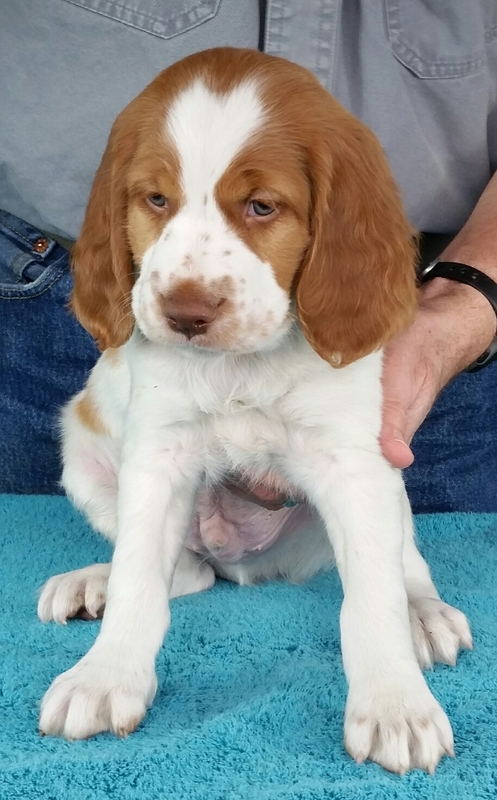 -3-3-18: AKC online puppy registration complete. Futurity nomination sent in. -3-19-18: Pups started on ground puppy chow. -3-20-18: Photos and weights taken. The pups are starting to play and be active. This is a really fun time to have pups!! -3-27-18: Photos and weights taken. The pups were moved out of the whelping room and into the "big" dog area. 'Lots of noise and activity and more room to play! 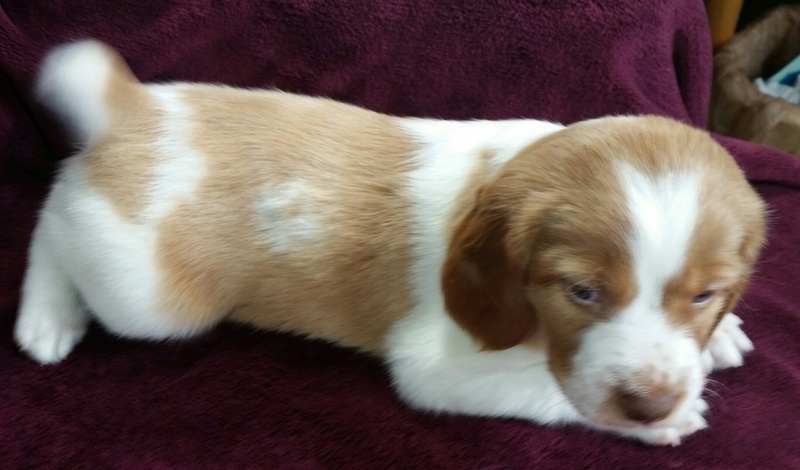 The Volhard pup test is scheduled for April 10th at Judie's home. -4-3-18: Photos and weights taken. Vet check and worming are scheduled for Monday 4-9. First shots will be done about the 11th. -4-9-18: Vet check is complete. Pups wormed. -4-10-18: Volhard results + photos, weekly weights and weekly photos are posted. -4-11-18: The Group Photos II page has been updated. -4-12-18: 1st puppy shots given. -4-13-18 to 4-13-15: All pups have been chosen and picked up. 'Long may they provide family and hunting enjoyment! 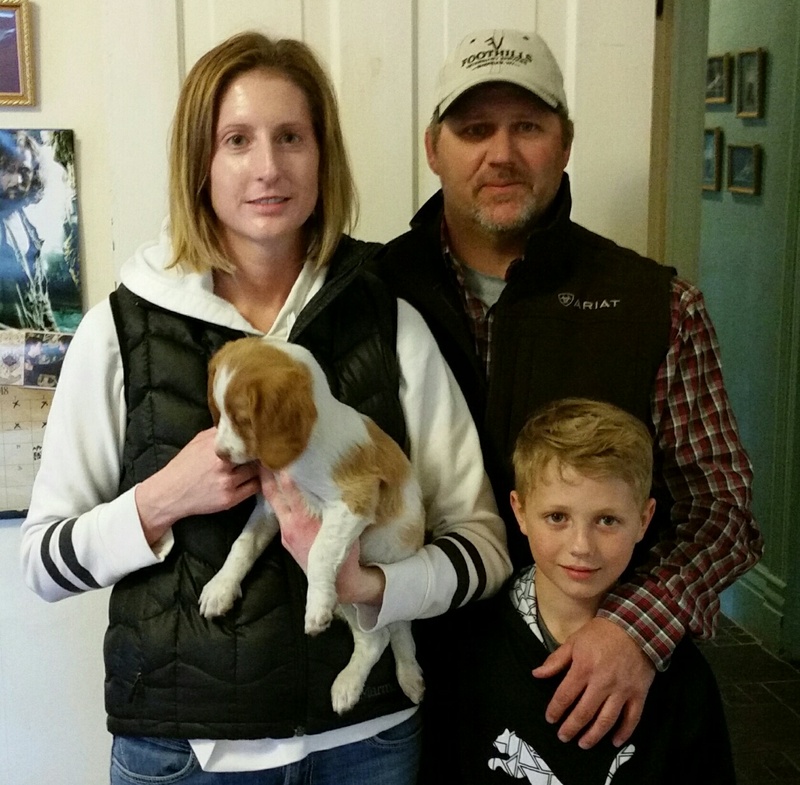 The new owners pictured below picking up their pups! 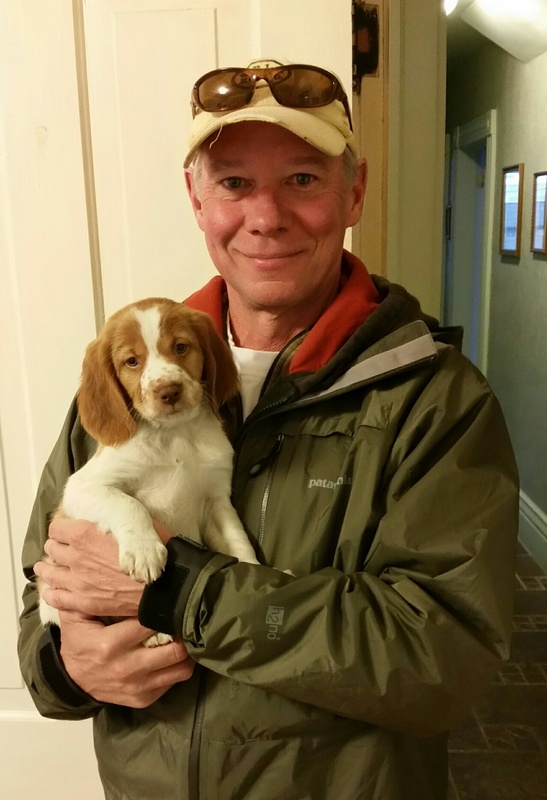 Chinook and her new owner. 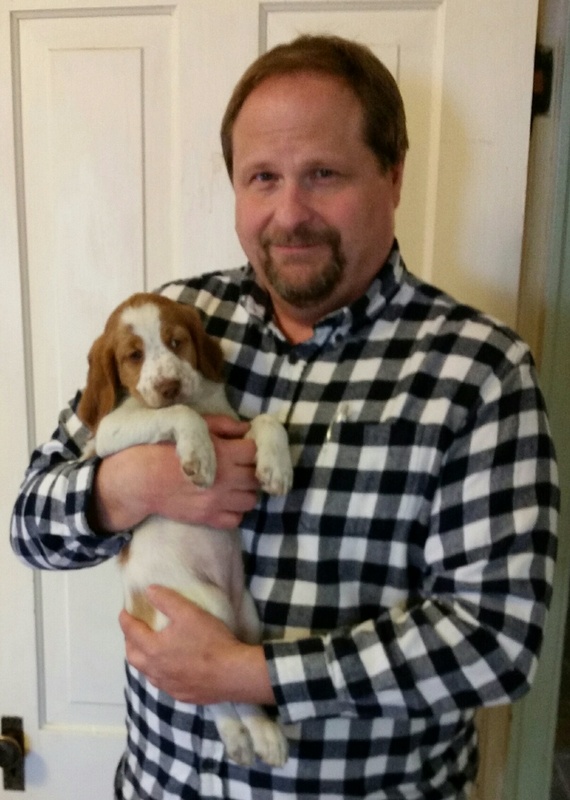 Poplar and her new owner. Devon and her new owner. 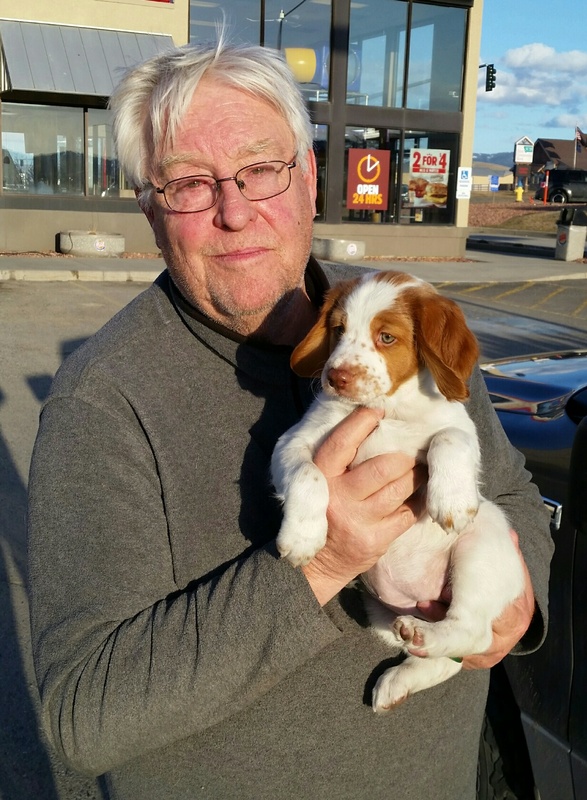 Stryker and his new owner. 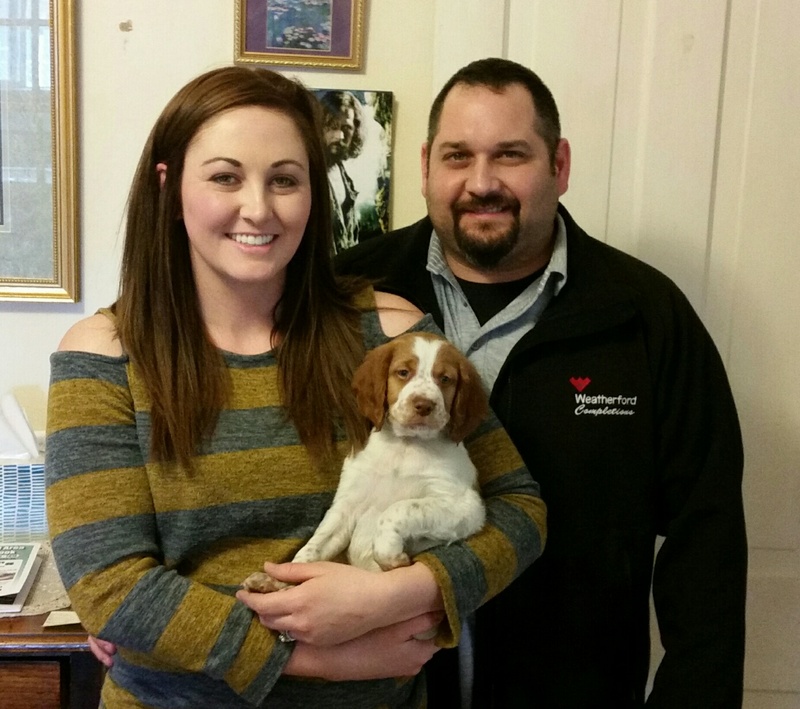 Shelby and her new owners. 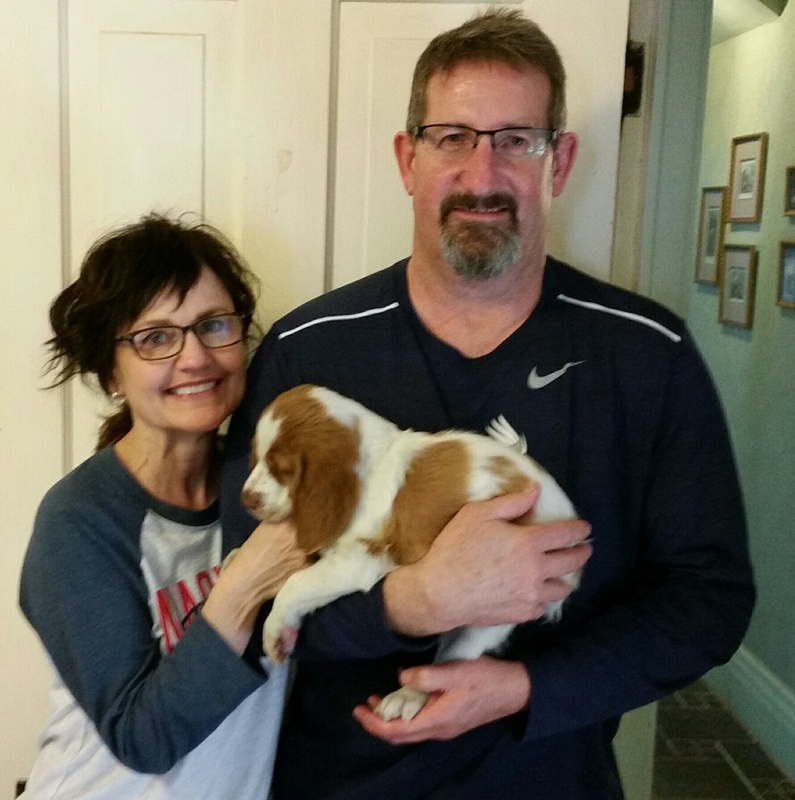 Brockton and his new owners. Saco and his happy family! 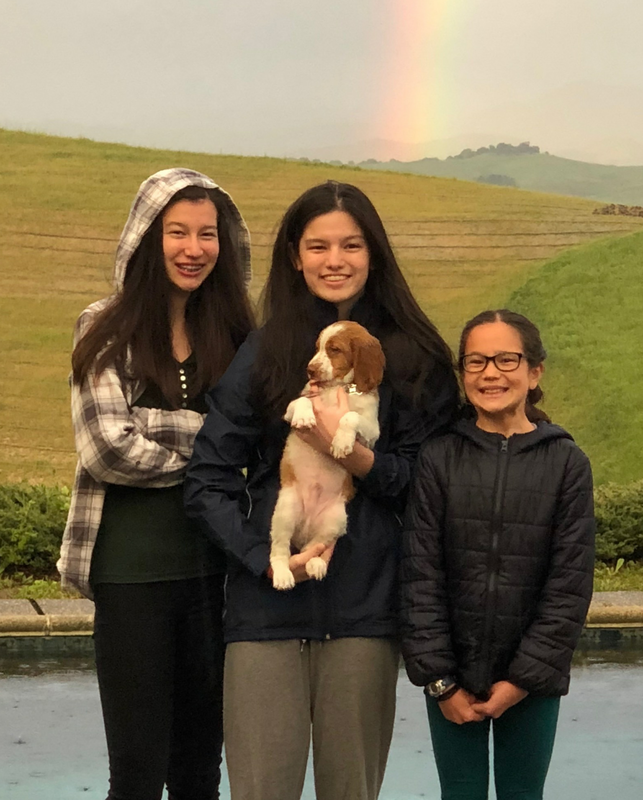 Chester's kids at the end of the rainbow. 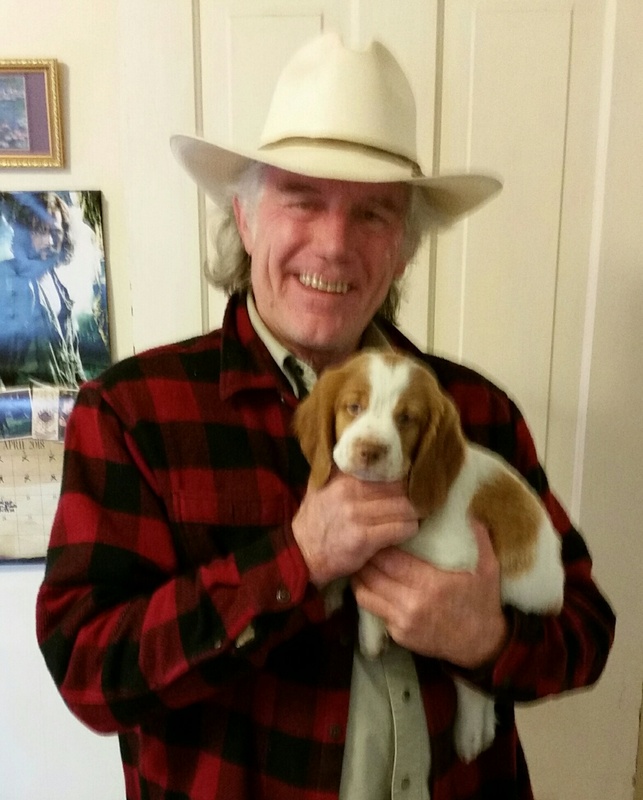 Montana Hi-Line Towns Litter Pups are Futurity Nominated. 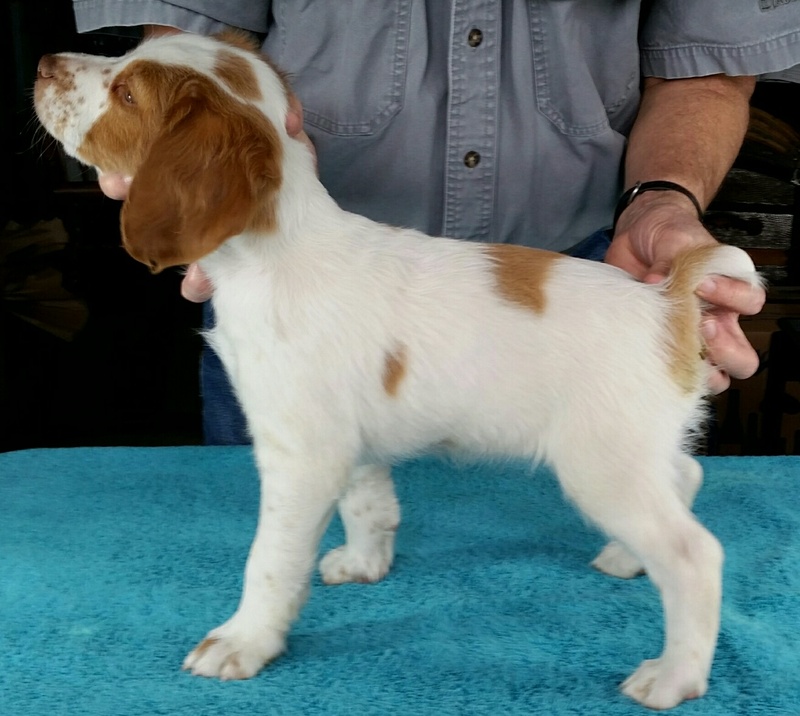 GCH Warbonnet Summer Wynd Dancer "Dancer" Whelped: 2-14-14. 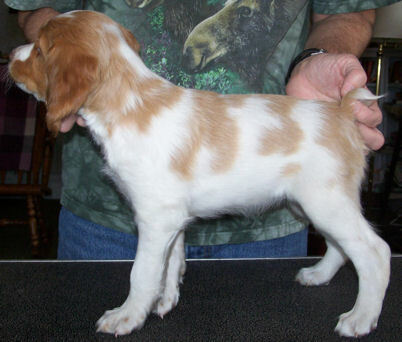 By: BIS, BISS, GCH, CH RJ'S Sierra Edition, MH x CH Warbonnet Chinook Wynd. Hips: OFA GOOD, OFA #: BS-17373G28F-NOPI Bred by us (Todd & Sari), Dancer finished her show championship winter 2016 winning 3 majors in 3 days at the Portland, OR shows. 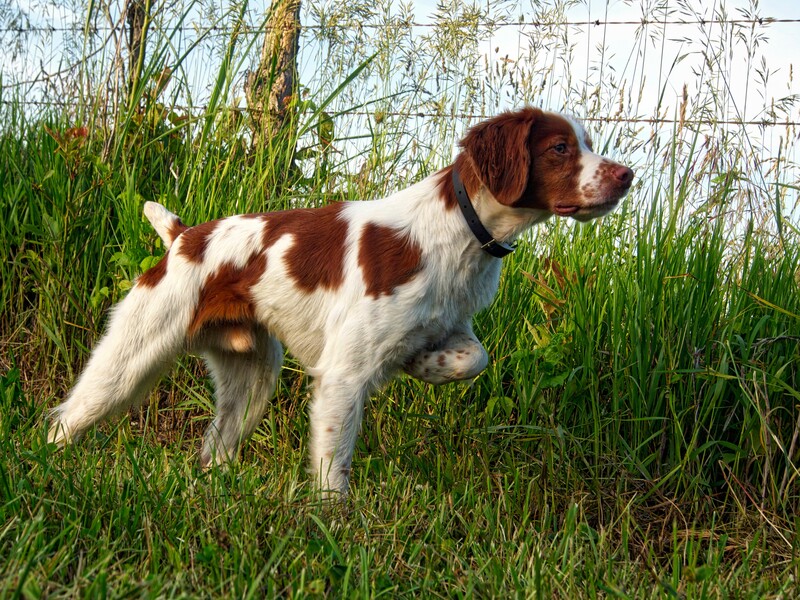 She is super at finding, pointing and fetching birds!! She is also a great hiking, fishing, running and biking companion. As of Fall, 2017 Dancer is a Grand Champion. NGDC GFC DC Hope's Chief of Crosscreek, OFA Excellent). 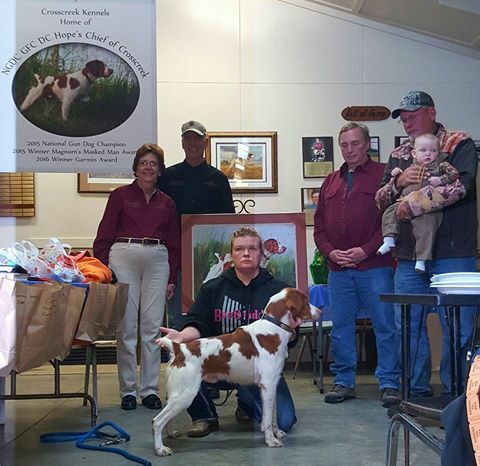 Chief was the 2015 American Brittany Club National Gun Dog Champion. 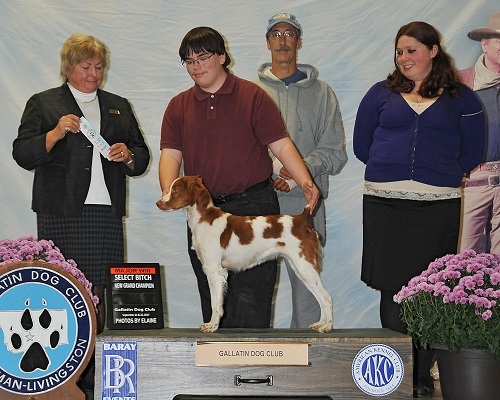 He is also a Grand Field Champion and a Dual Champion. He placed 3rd at ABC Nationals in 2016 and 4th in 2017, won the ABC Garmin Shooting Dog Award in 2016 and 2017, and was the Magnum Masked Man Award winner in 2015.